Nothing puts a damper on your pre- and post-vacation glow quite like jet lag. And while there are many products out there that claim to be the best cure it is still difficult to find something that actually works. Here are seven ways to get you looking and feeling fabulous in (almost) no time. While your first instinct when you’re feeling exhausted is to head to the nearest coffee house, the smartest thing you can do is resist. Not only are both these substances stimulants, but they also dehydrate you—making your jet lag worse. Long flights can leave you stiff, tired and extremely dehydrated. Drink plenty of water before, during and after your trip to alleviate your jet lag symptoms, fast. This may be the most effective way to combat your fatigue. 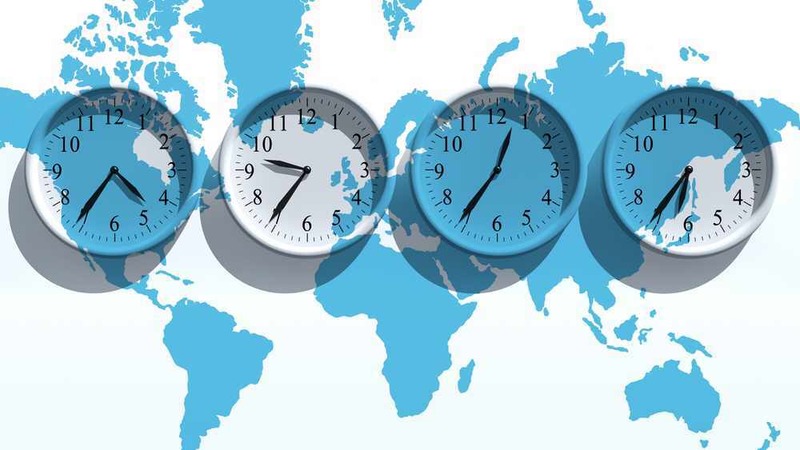 Jet lag happens when your circadian rhythm is thrown off, making you feel tired. Manipulating your light exposure can help reset it. Limit the amount of artificial light (yes, this is full permission to wear your sunglass inside) and increase the amount of natural light your body is exposed to. Natural light not only gives you vitamin D but it’s what your body’s clock adjusts to. Heading East? Look out for that morning sun. Heading West? The afternoon sun is all you need. Traveling can be stressful and stress can make the effects of jet lag even worse. A quick yoga session can help you relax and get things moving again—including your energy level. From your hotel room, or your living room, followthese tips for doing yoga anywhere. The burst of nutrients will help refresh and re-hydrate. Bonus: it will give your immune system a boost too—goodbye,airplane germs. Taking some of this natural hormone supplement a half hour before sleep can assist you in sticking to your current time zone’s schedule.